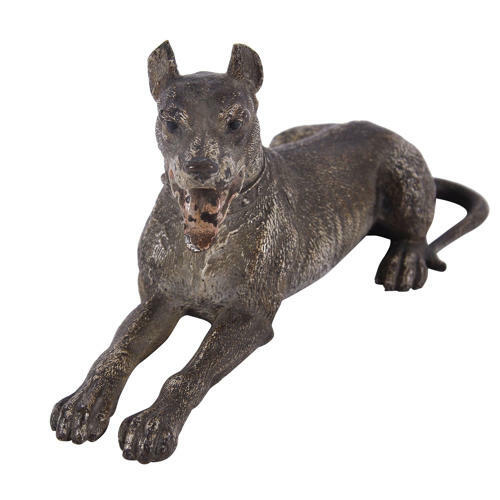 A cold painted bronze figure of a Great Dane in the manner of Franz Bergman. The figure is lying down with front legs in font of himand with mouth open as if panting. Wearing a studded colar. Stunning detail and colour with some losses to the paint consistent with its age.